Independent-minded adventurers have long found themselves drawn to Asia. The continent’s mystique is commonly bound in such ambiguous phrases as ‘eastern religion’, and ‘far east’. While such references may be unhelpful, they do allude to a spiritual calling and a land far removed from that found in the west. And in many of this continent’s countries, places such as Bhutan, Nepal and India, spirituality is central to the everyday experience. But what of the land mass itself? At its western boundary are the eastern Ural Mountains. The continent then extends east, as far as the Pacific Ocean and mountainous regions commonly define its geology. In Central Asia you find Everest, towering above Nepal – so favored for its trekking tours and renowned for its friendly peoples. Tibet and China also border here, both embracing a spirit of openness that draws curious travelers from across the globe. South of the world’s most magnificent peak is India. Here the climate is dominated by the Asiatic monsoon, which brings life to the northern plains and the country’s rapidly developing economy. Within South East Asia there’s Cambodia, Vietnam and Laos, all in the vast peninsula that separates the Indian Ocean from the South China Sea, and commonly known as Indochina. An Indochina walking tour then gives you access to all three. From here the continent extends south, from Thailand to Malaysia and into Indonesia, and at its southern extremity, East Timor. Facing north from Everest there’s the vast landmass of China, which shares its Gobi desert with Mongolia to the north. Further east, the continent’s other economic powerhouse, Japan, faces west across the Pacific but looks east for its identity. All of these countries are crowned geographically by Russia and its satellite states, together forming the most significant of Asian landmasses. Whether as a first-time visitor or returning to extend your knowledge, you’ll soon realize Asia cannot be defined by any one country or religion. The world’s largest and most populous landmass, it will always be a place for discovery. 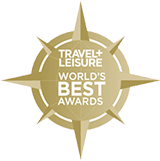 Boundless Journeys is an award-winning small group adventure tour operator, selected as one of the “Best Adventure Travel Companies on Earth” by National Geographic ADVENTURE, February 2009; and a “World’s Best” tour operator by Travel + Leisure, August 2009. With a diverse collection of locally guided, small group itineraries and Private Collection trips around the world, Boundless Journeys offers “The World’s Great Adventures.” The adventure trips for 2-16 guests are active, ranging from leisurely cultural explorations and wildlife safaris to challenging trekking in remote regions ― with plenty of easy to moderate walking and sea kayaking in between.